Compatible with the type 5IPR fasteners used on MacBook Air, MacBook Pro Retina Display laptops, and Toshiba drives. 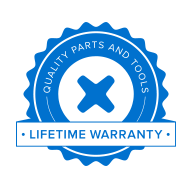 Professional, Made in the USA tool options. Replace a scratched or dented lower case.